Your Home. Your Design. Your Price. Pacesetter Homes. At Pacesetter Homes, we believe in creating comfortable and personalized homes exactly for you. 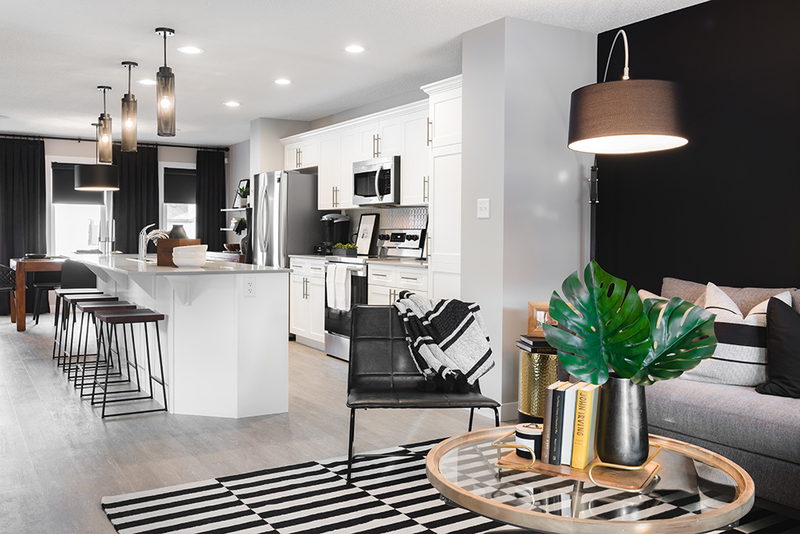 The choices are virtually endless: build your home in any quadrant in Edmonton or surrounding municipality1, choose from one of 70+ home models (and even personalize the floor plan), and even name your price2! When you build a brand new home with Pacesetter Homes, you will have your own appointment at our design centre--Design Q--to select your home's finishes. You'll be paired with a professional interior designer to assist in creating exactly the home you want and need. But you don't necessarily have to build brand new to select your finishes! 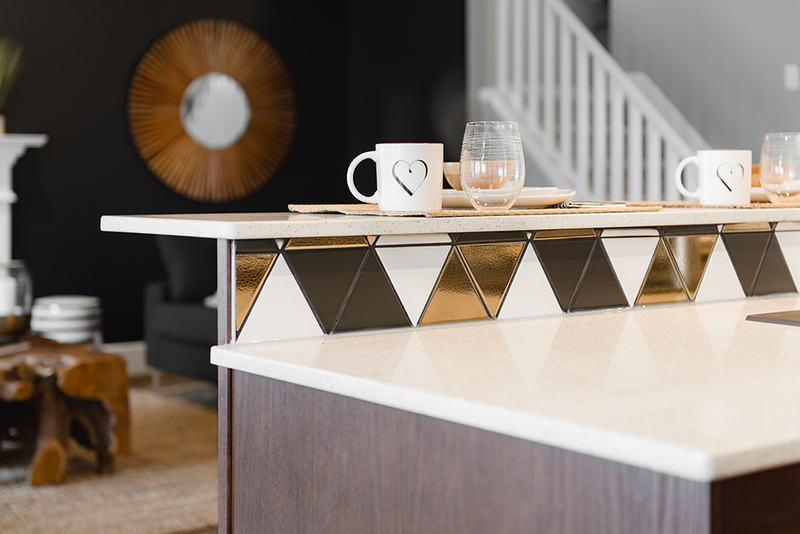 *In some of our Quick Possession homes, you can still choose most of your finishes and still move into your home faster than if you'd built from scratch. We have dozens of homes in and around Edmonton pre-built and waiting for your personal design touch! In a brand new build, you can style your entire home from scratch. Design your home exactly how you want it! 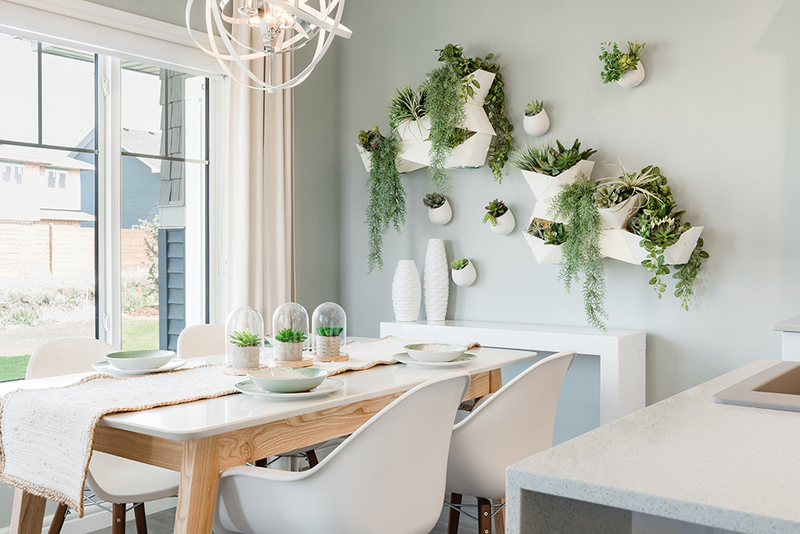 When you buy a Quick Possession home, you may have the opportunity to select most of your home's finishes and still move in quicker than a fresh build. This opportunity applies to select homes and is subject to availability. No matter what your current budget may be, we have a home just for you. With brand new homes starting at $290,000, there is virtually no need we cannot fill. All you have to do is tell us how much you want to spend, and we will build a home that fits your comfort zone. Pacesetter Homes builds more than 70 home models in nearly 40 neighbourhoods in and around Edmonton. Lot prices vary throughout these communities, offering you the flexibility to spend less on the community and more on your home, and vice versa. Tell us what matters to you in your new home. Would you prefer to include window coverings, a deck, or landscaping in your mortgage so you don't have to find funds for them later? We can do that. We are happy to customize your home to fulfill your deal-breakers. Because there is so much choice with Pacesetter, your home can be personalized to fit your wish list. Need an extra bedroom and full bathroom for a family member? Perhaps a larger mudroom, or laundry on an upper floor? Our standard floor plans are anything but standard. If you need to make a change to fit your family's needs, we are happy to work with you to create your personalized floor plan. Many of our standard floor plans already come with pre-planned optional layouts to choose from, but we don't stop there. If you need to tweak a closet or move a light fixture, we are happy to personalize your home just for you. 1 Pacesetter Homes builds in all quadrants of Edmonton, plus St. Albert, Spruce Grove, Stony Plain, Devon, Leduc, Sherwood Park, and Fort Saskatchewan. 2 Pacesetter Homes' starting price is approximately $290,000. We can build a home for any budget by customizing the finishes, lot location, and model built. Restrictions apply; see an Area Sales Manager for details. © 2019 Pacesetter Homes Ltd.